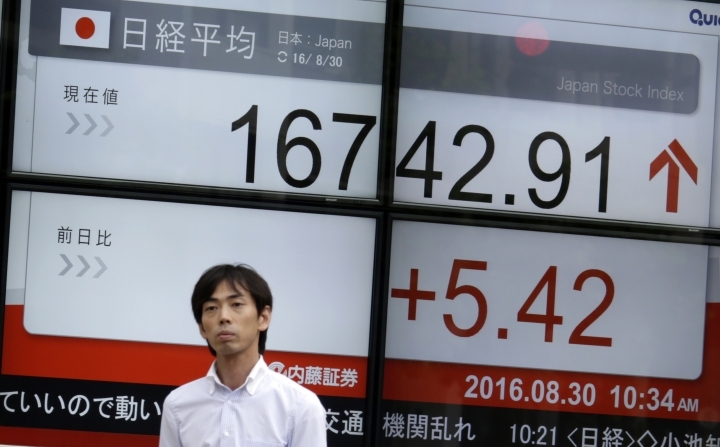 TOKYO — Asian shares were mostly higher Tuesday as hopes continued for a U.S. Federal Reserve interest rate hike later this year. 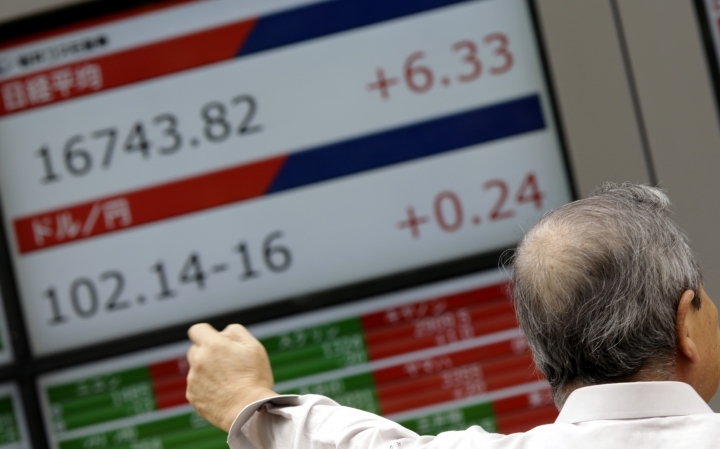 KEEPING SCORE: Japan's benchmark Nikkei 225 was virtually unchanged at 16,739.49 in morning trading, losing earlier gains as the dollar weakened again. 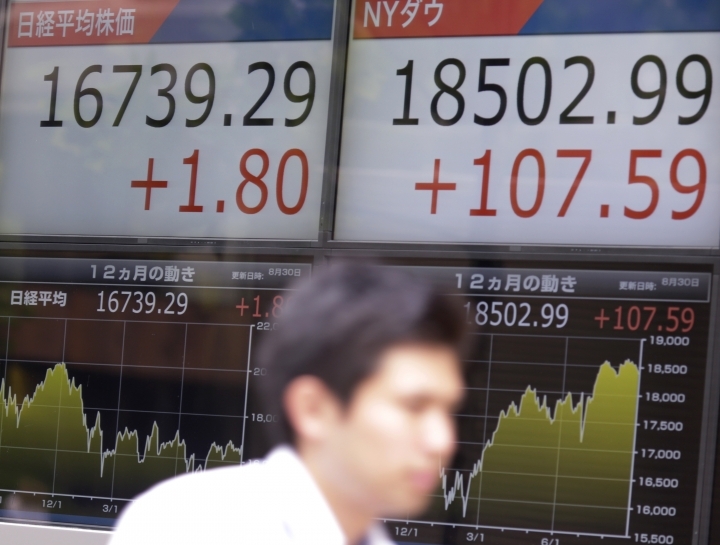 A strong dollar is a boon for Japanese exporters. 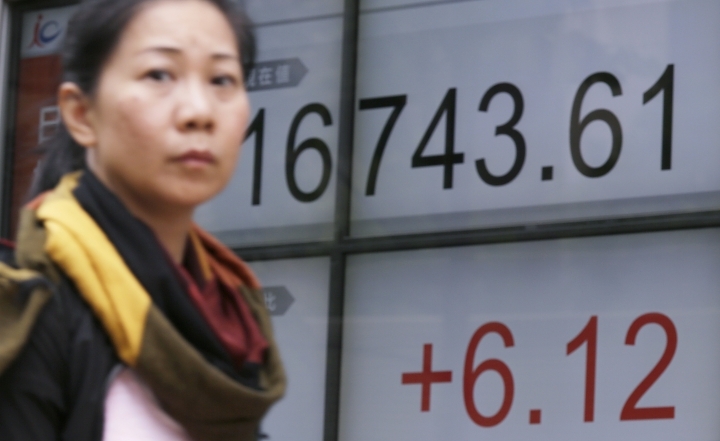 South Korea's Kospi added 0.8 percent to 2,047.93 in early trading. Hong Kong's Hang Seng rose 0.7 percent to 22,989.13, while the Shanghai Composite inched up nearly 0.1 percent to 3,072.23. WALL STREET: The Dow Jones industrial average rose 107.59 points, or 0.6 percent, to 18,502.99. The Standard & Poor's 500 index climbed 11.34 points, or 0.5 percent, to 2,180.38. The Nasdaq composite edged up 13.41 points, or 0.3 percent, to 5,232.33. FED FACTOR: Major U.S. banks posted solid gains on Wall Street as traders bet that the Fed was likely to nudge interest rates higher in December or even at its next policy meeting in September. Federal Reserve Chair Janet Yellen told a conference last week that the case for raising rates was strengthening given improvements in the economy. THE QUOTE: "The Federal Reserve's rate-hike decision is largely based on three main indicators: the performance of the labor market, economic activity and inflation. In light of strong jobs reports over the last two months, the likelihood of an impending rate hike has substantially increased," said Margaret Yang Yan, market analyst at CMC Markets Singapore. JOBS DATA: Global markets are awaiting the U.S. Labor Department monthly jobs data, being released Friday, for signs on whether a U.S. recovery is on solid footing. Data on Japan released Tuesday showed an improvement in unemployment, but worries about growth momentum remain. ENERGY: Benchmark U.S. crude oil rose 13 cents to $47.11. It had fallen 66 cents to $46.98 a barrel Monday. Brent crude, used to price oil internationally, added 6 cents to $49.51 a barrel. CURRENCIES: The dollar stood unchanged from late Monday at 102.21. The euro was also unchanged at $ 1.1177. AP Business Writer Seth Sutel contributed to this report.